Holiday Market is a three-day, one-stop holiday shopping extravaganza featuring unique merchandise from more than 100 carefully selected vendors from Oklahoma and across the country. Shop for clothing, gourmet foods, gifts, children’s items, jewelry and more during the market – we promise you’ll find everything you need and more! 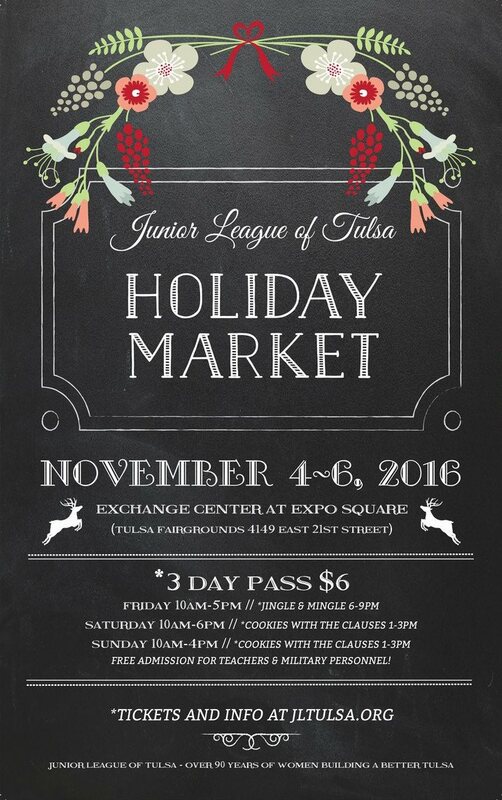 Holiday Market raises funds to support the mission of the Junior League of Tulsa. Proceeds from Holiday Market go to fund our community projects that work to end the cycle of poverty and illiteracy in women and children of Tulsa.